Let's resurrect our bowling dates! Since we lost our home at Show-Me Lanes, I've been visiting some other bowling establishments to try and find a good one. The survey I took shows that most who would be interested, live along the Hwy 55 corridor, so I've decided to give Arnold Lanes a try. It's kind of hard to find a place that is not smoky. I smelled smoke when I walked in, but Miki and I bowled on the upper level of lanes, and it was not bad. 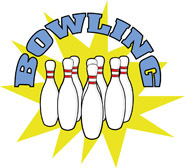 $5.00 for 2 hours of bowling, includes shoe rental. I thought we would try it out in February, March and April. PRICE? 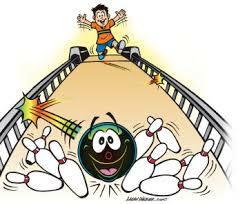 $5.00 per bowler, includes shoes. Please have cash at the door or you can send the money to PayPal.me/sharehomeschool. But don't send it electronically until you get there. I don't want to have to refund a bunch of Paypal transactions. WHO? All ages! Little ones may bowl with bumpers and a ramp, but moms might need to help. HOW ? Our plan is to group children of the same age and/or friends on the same lanes. We want this to be a great way for the children to meet others and make friends. So please sign-up so that I can plan that way. If you are at the SHARE calendar for February 22, March 22, and/or April 26 just scroll down. If you are reading this somewhere else, go to the SHARE website and click on a widget at the bottom of the private home page or go to the calendar for those dates.